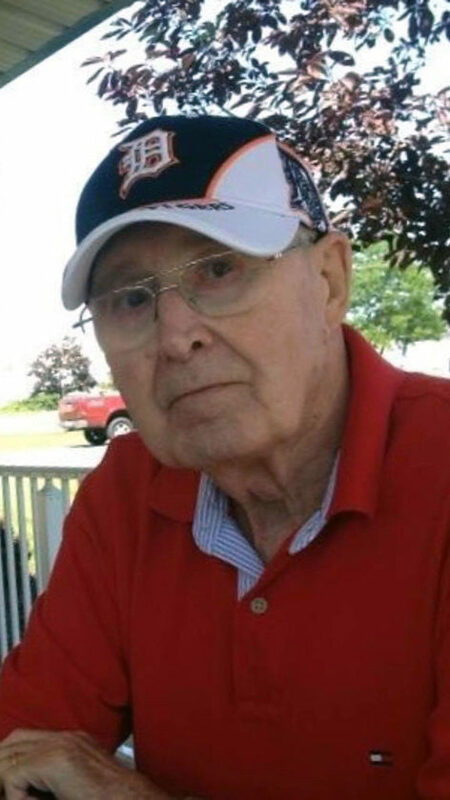 John A. Cochie, 81, of Ashland, passed away Saturday, Nov. 3, 2018, at his residence with his loving family by his side. John was born May 2, 1937, in Fostoria, the son of John and Gretchen (Hartley) Cochie. John is survived by his wife, Carol Cochie; seven children, Pam (Mike) Graham of Venus, Pennsylvania, John (Alan) Cochie III of Philadelphia, Pennsylvania, Jim (Cindy) Cochie of Chapel Hill, North Carolina, Steve (Jinny) Cochie of Tiffin, Mike (Bev) Cochie of Clovis, New Mexico, Cara (Greg) Schuster of Ashland and Kevin (Sara) Cochie of Washington, D.C.; 15 grandchildren; and 12 great-grandchildren. A servant of God, John was a man of strong faith. A devoted father and grandfather, he found the most joy in spending time with his large family. John was a 1955 graduate of Hopewell-Loudon High School in Bascom. John retired from Service Masters LLC in 2002, but worked previously at National Machinery, NOBA Corp. in Tiffin, and Copeland Corp. and Reynold’s Plumbing and Heating in Fostoria. A lover of sports, he faithfully followed NASCAR, the Detroit Tigers, the OSU Buckeyes, Cleveland Cavaliers and, of course, the Ashland Arrows. A gathering of family and friends will be 10-11 a.m. Saturday, Nov.17, 2018, at First Christian Church, 1425 King Road, Ashland, OH 44805. The Rev. Rich Pate and the Rev. Ed Graves will officiate his celebration of life at 11 a.m.
Memorial contributions may be made to Hospice of North Central Ohio, 1050 Dauch Drive, Ashland, OH 44805. The Ashland Home of Wappner Funeral Directors is honored to serve John’s family.